Click here to see national media about about St. Louis’ most award wining pool company! Prestige Pools & Spas is St. Louis’ most award winning in ground pool company. We are the premier builder of residential in ground vinyl liner, Trilogy brand fiberglass and custom gunite pools. 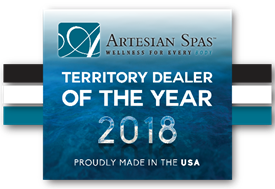 Our award-winning retail store displays showcase the world renowned hot tubs from Marquis Spas and their incredible line of swim spas the ATV (Aquatic Training Vessel), along with hot tubs and swim spas by Artesian Spas, and our line of roto-mold hot tubs from Tuff Spas. Prestige Pools & Spas offers only top-quality merchandise installed and serviced by friendly, professionally trained and knowledgeable employees. Our installation teams are master craftsmen and will ensure your pool meets or exceeds industry standards. We offer a complete line of the highest quality chemicals for your pool and spa needs along with a complete line of games, floats, fountains, and accessories to compliment your project. Our full-time, trained showroom personnel are available year-round to assist you with inquiries and provide you a sense of security in the operation of your pool and spa. Chemical analysis of your water and in-store chemical training is offered free of charge for everyone from open to close, year-round. The highly-qualified professionals in our service department specialize in any service related issues pertaining to your in-ground pool, filter system, liner installation, pool opening and closing, weekly maintenance, vacation services, and more. We also have fully certified and authorized Marquis Spas, Artesian Spas and Tuff Spas technicians for all your hot tub needs. Prestige Pools & Spas is truly “The Signature of Quality” in St. Louis and the surrounding communities. We will enjoy assisting you to create your very own backyard dream. 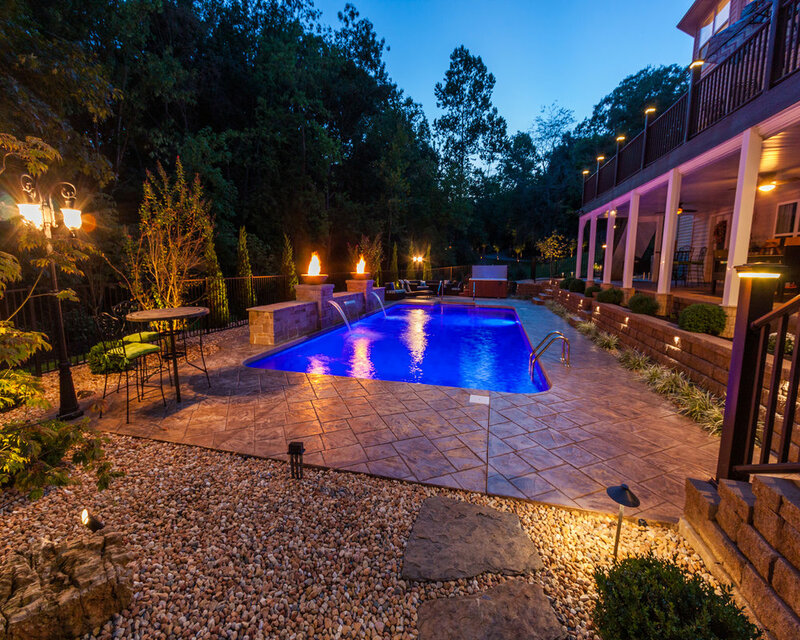 Prestige Pools & Spas works hard every day to be “The Signature of Quality,” so it is no wonder we are biggest, most award-winning residential in-ground pool company in the St. Louis Metro Area. To date Prestige Pools & Spas has won over 300 awards from the National Spa and Pool Institute (NSPI) and the Association of Pool and Spa Professionals (APSP). Additionally, we are an A+ recipient on the Honor Roll of the Better Business Bureau (BBB). In 205, Prestige Pools & Spas was awarded 9 honors from the APSP, covering fiberglass and vinyl-lined in-ground pools, as well as spas, swim spas and water features. In 2014, Prestige Pools & Spas was awarded 12 honors from the APSP, covering fiberglass, gunite and vinyl-lined in-ground pools, as well as spas, swim spas and water features. In 2013, Prestige Pools & Spas was awarded 7 honors from the APSP, covering fiberglass, gunite and vinyl-lined in-ground pools, as well as spas, swim spas and water features.